Usually one would add borders around a cell or range of cells in their worksheet by selecting the cell or range and using the Border tab of the Format Cells dialog box. BUT, there is a nice little shortcut that saves you time and keystrokes and who wouldn’t want to do that?? First, display the Home tab or your Ribbon. In the Font group, click the down arrow at the right-hand side of the Border tool to display options. 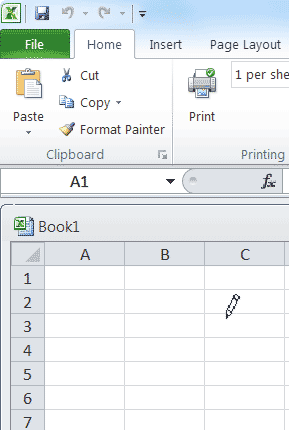 Select Draw Borders and you will notice that your cursor has not become a small pencil. You can now click and draw borders wherever you like. You can utilize the options by clicking the drop-down arrow on the right hand side of the Border tool to specify the type of line and color. Once you are finished creating borders, you can simply click the Esc key and your cursor will again return to normal. Next:Is Netflix Ruining Your Life?